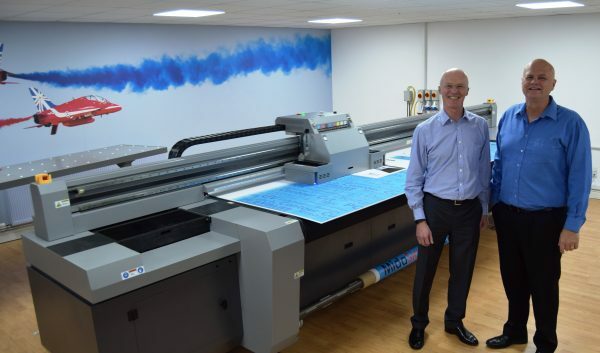 In line with its present business strategy for expansion, Mida Sign Services has invested in a large format UV LED hybrid inkjet printer from SSE Worldwide. The Mida team has immediately been impressed with the production and resolution quality of the printer and there is already talk of ordering a second machine. Regarded as one of the leading Signage and Graphics installation companies in the UK, Mida Sign Services relocated in 2013 with a plan to increase its premises by 300%, expand production and meet nationwide demand. To strengthen its business Mida has built a substantial print division within the company. Over the last three decades since Mike Smith set up Mida Sign Services in 1984, the company has built and maintained a strong reputation for reliability and a quality product at the right price. Always looking to develop and adapt to market forces, the company is now recognised as one of the industry’s leading Signage and Graphics installation companies working direct to the trade. With two dedicated teams – one for Print and one for Installation, Mida Sign Services now offers nationwide and European installations of the latest technologies in signage including digital wall and floor graphics. The Mida team mission is to use their years of experience and technical knowledge to impart confidence and to provide customers with full project management from site survey through to full installation and supply of printed graphics direct to multiple substrates. The 3200 Large Format UV LED Hybrid Printer is leading the field on a price/quality/speed ratio.